Go green and save with this A-Power AGS 550-Watt power supply! This A-Power AGS550 features a 20+4-pin ATX power connector, four large Molex power connectors, one floppy connector, one 12V power connector and four Serial ATA (SATA) connectors! Keep cool under pressure with the dual 80 mm fans that operate at near whisper-quiet levels. With the dual +12V rails you can keep your computer safe from overheating ensuring a longer life for both your computer and the power supply. 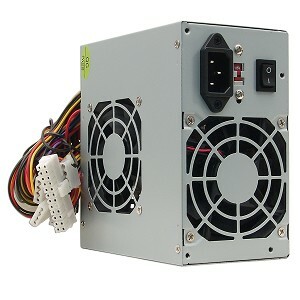 Upgrade your system, order your A-Power AGS550 power supply today!